Dentalium Vulgare, smooth tusk. 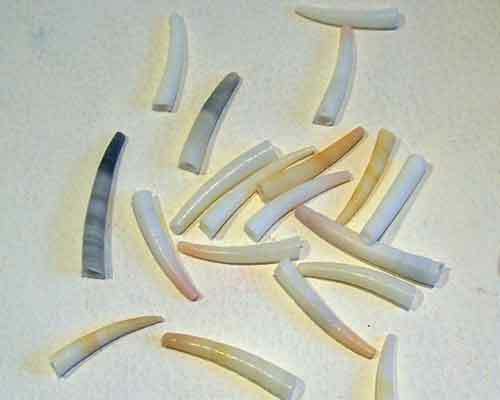 Most similar to the dentalium used on plains indian regalia of ancient times. There are a 100 pieces in the bag for $150. The size is 1" average.